Preheat oven to 350 degrees. 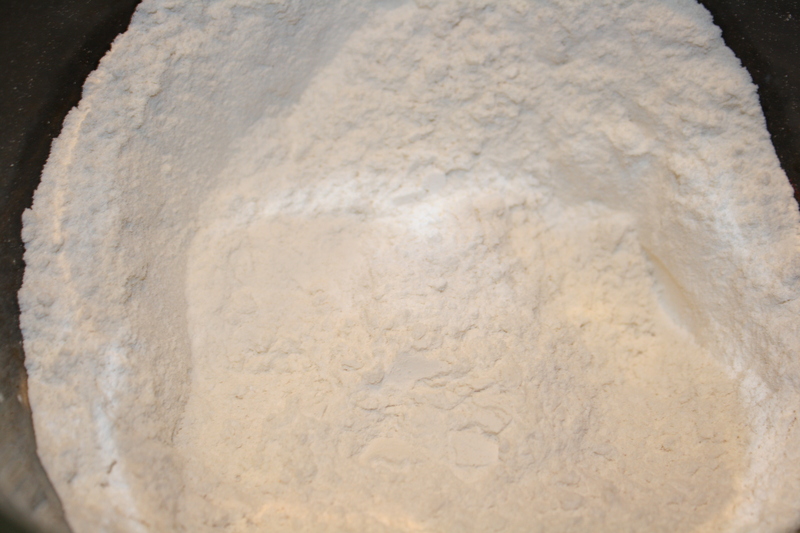 Grease and flour a 9×5″ loaf pan; set aside. 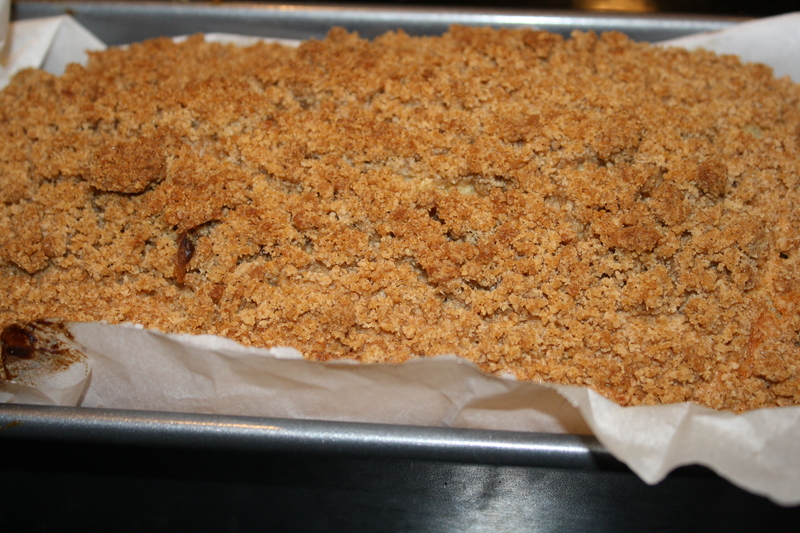 Prepare the streusel: In small bowl, stir together the brown sugar, flour, and cinnamon. 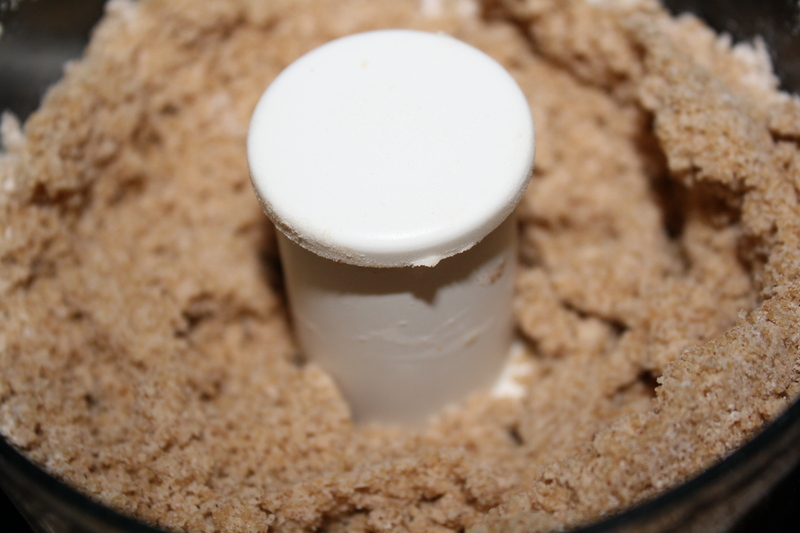 Using a pastry blender, cut in butter until mixture resembles coarse crumbs. Stir in walnuts, then set aside. 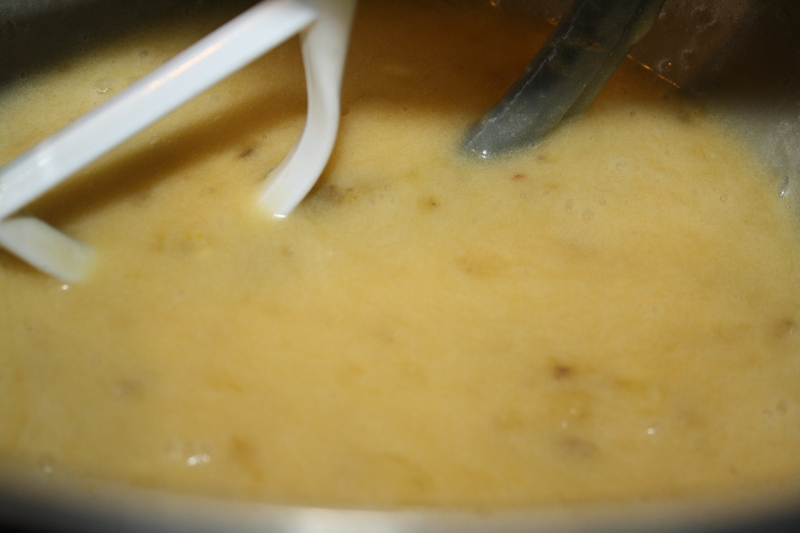 Batter: In large bowl, beat together bananas, sugar, butter, eggs, and vanilla. In separate bowl, whisk together flour, baking powder, baking soda, and salt; stir into banana mixture. Then stir in walnuts. Spoon HALF the batter into greased-and-floured loaf pan. 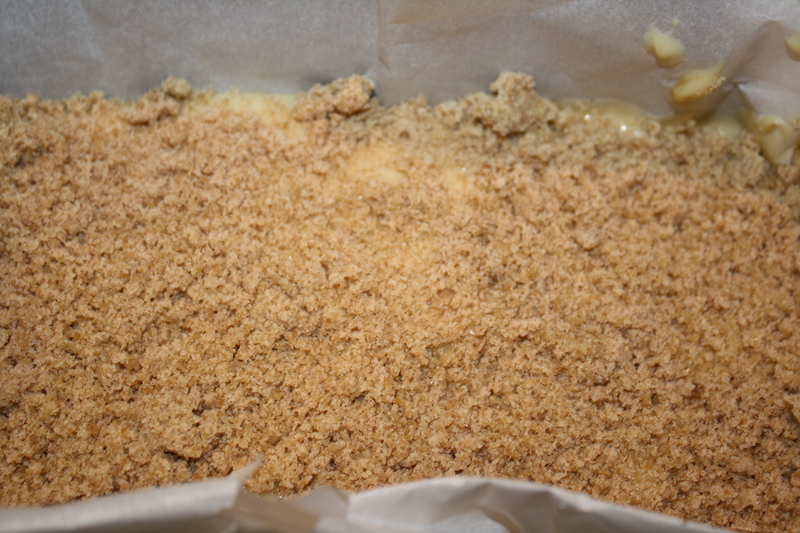 Sprinkle batter withHALF of the streusel mixture. 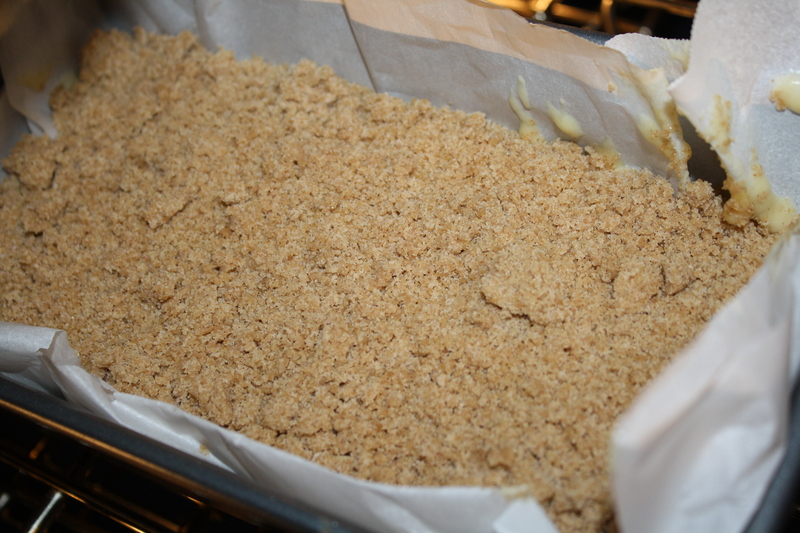 Add the rest of the batter over the streusel mixture in the pan, then top with the remaining streusel. Bake at 350 degrees for 60 to 70 minutes, or until toothpick inserted in center comes out clean (my baking time was 70 minutes). Let loaf cool in pan for 15 minutes, then remove from pan and cool completely. 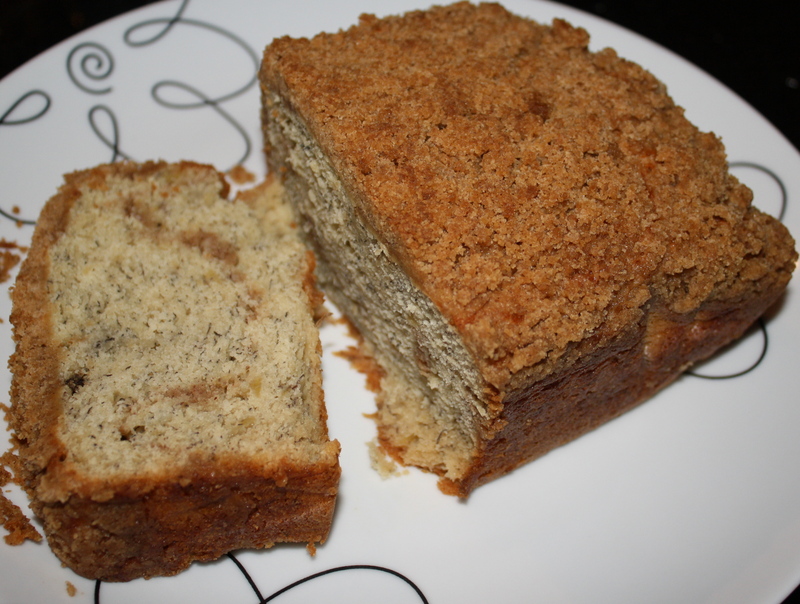 While I have stated that I love cinnamon and banana bread, I have to admit that I was a little unsure about the streusel. 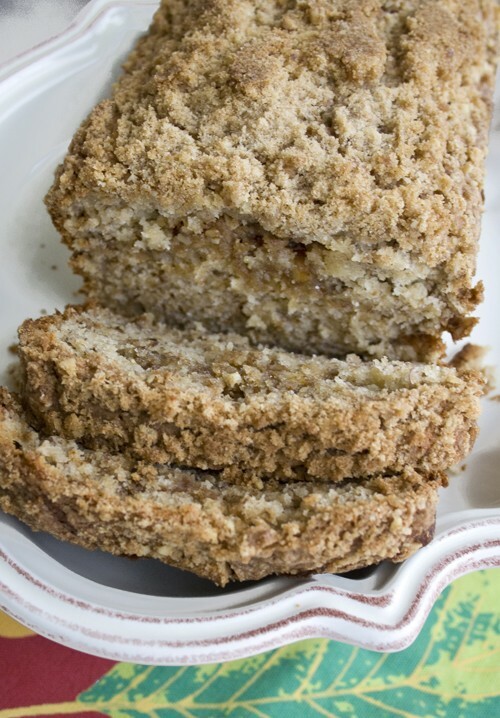 What does “streusel” even mean? I know it’s German, so I looked it up. Streusel is usually a butter or fat that is combined with flour and sugar and then it is “scattered or sprinkled” over a pastry item. and then I pulsed the processor a few times until it turned into a uniform, coarse mixture. 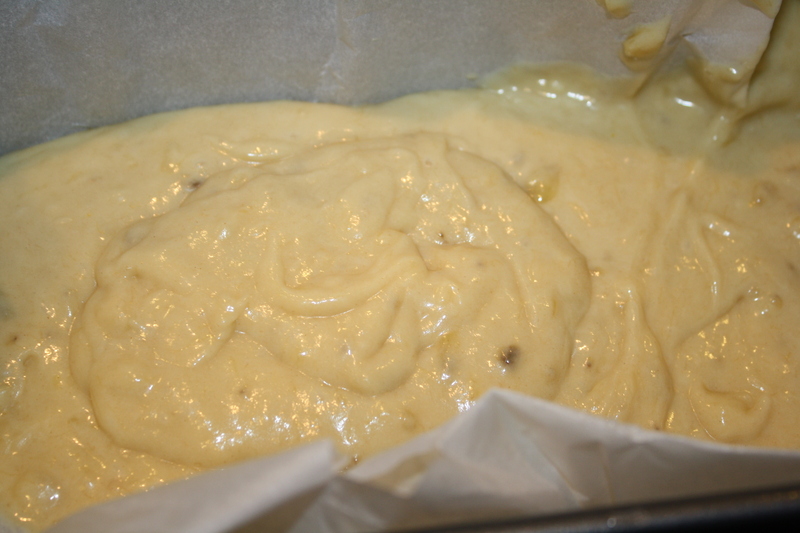 Next, in the mixing bowl, I combined the bananas with the sugar, butter, eggs and vanilla. This process was different from the usual mixing of butter with sugar first, but I am unsure what effect that had on the final outcome. 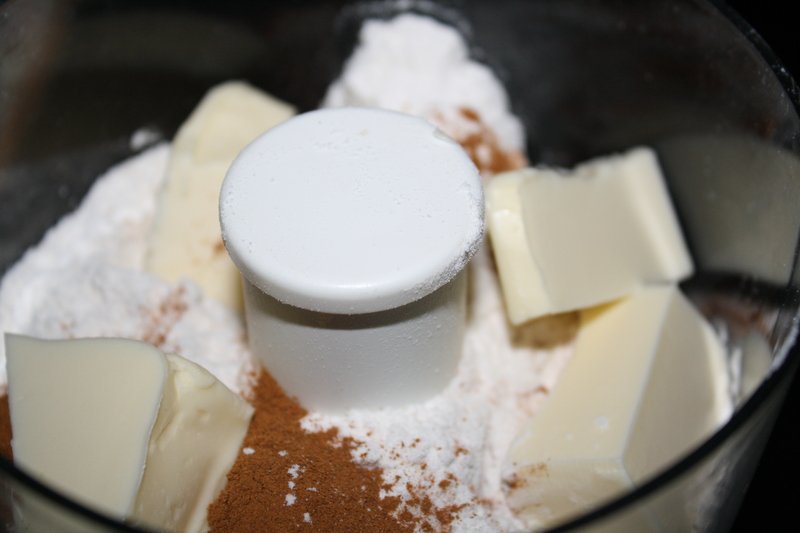 In a separate bowl, the dry ingredients were combined. 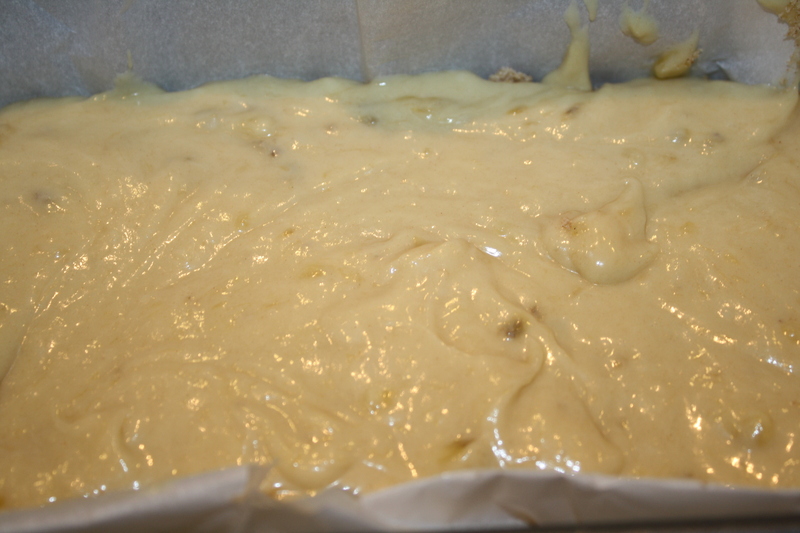 Then they were gradually added to the banana mixture to make the batter. I did not add the walnuts here because the kids seem to prefer their banana bread without them, but if you disagree with them, stir in walnuts at the end. Instead of greasing the loaf pan, I used parchment paper to line it, and then filled the bottom with half of the banana bread batter. before the rest of the batter was poured in. Then the remaining streusel was sprinkled over the top. The loaf baked at 350 degrees for 70 minutes, when a knife inserted into the center came out clean. 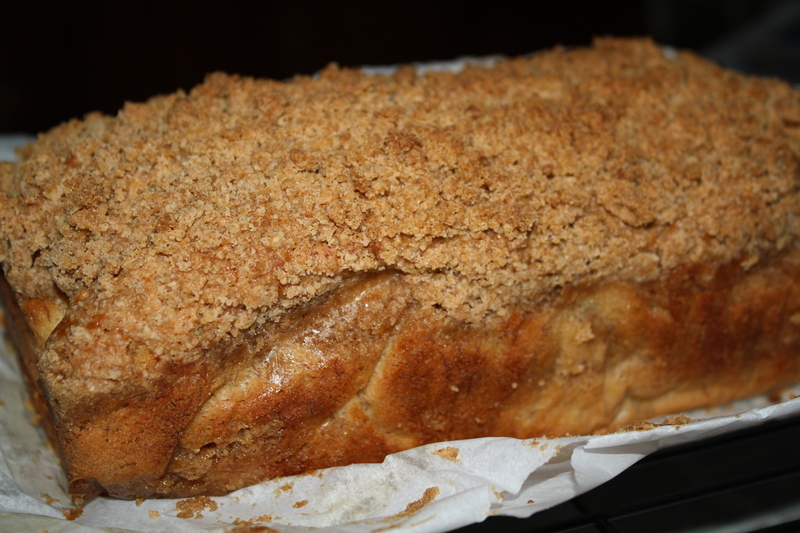 The result was good, but there wasn’t enough cinnamon in the bread, in my opinion, and the inner streusel wasn’t enough to compensate for that. In addition, the loaf was a little dense and dry. I think if you added a half cup of sour cream to the batter, that wouldn’t be the case. I think I will make this again at some point, trying those adjustments when I do.